Dr. Gregory has included this page to illustrate first-hand accounts from some of his satisfied patients. If you have never visited our practice or are interested in learning about what others thought about their experience, we encourage you to use this page as a helpful source of information. "Great experience. Dr Paul Gregory and Linda, his sister, are great people. Dr. Gregory is really down to earth and knows his stuff. He is in a group of few dentist left that actually know what they're talking about and can actually explain it to you. I felt very comfortable and they are both welcoming. Dr. Gregory is gentle enough that I felt no discomfort or pain. I highly recommend Dr. Gregory and Linda. Superb service. A+." "I swear Dr Paul Gregory and Linda (his sister who runs the practice and is also a dental hygienist) are angels sent from heaven! I found them on Yelp while waiting what had already been two hours at another dentist's office. I was so frustrated and decided to check Yelp to see what I could find. They were the first ones to appear, with 5 stars. I called while still at my other appointment, explained my situation to Linda and she was so understanding, asked me if I could come in "right now". I got there about an hour later and they took me in right away. By the next appointment I had my root canal. It was my first root canal, I didn't know what to expect because I have heard so many horror stories about root canals and how painful they are during and after, I couldn't help but be nervous. They made me feel comfortable. My experience was awesome. I didn't even have to take any painkillers after my root canal. I felt great. I'm so glad I found them!" "Needed a new dentist and Dr. Gregory was recommended by a friend. He's a very nice man, and the repartee between him and Linda is priceless. He is so knowledgable about all things dental and can explain so that a mere mortal can understand." "Dr. Gregory is truly the best. He (and his office manager / sister Linda) are very pleasant to work with, but most importantly, he is extremely thoughtful and someone who I trust completely in a field in which that can be very hard to find. I never feel that he is trying to "up-sell" some procedure that is unnecessary, and in fact on several occasions has recommended against certain cosmetic procedures that others had recommended. He really is a trusted "dental consultant" (if that makes sense? )- and always willing to offer his time when needed. Don't hesitate to go to him!" "I've been a patient of Dr. Gregory for almost 8 years. I keep coming back because he is very professional and takes the time to listen and make suggestions. I had issues with grinding my teeth and he fully explained all of my options. I found his office by searching Cigna and finding the local dentists in the area. It just happened that he was the closest to my office. I lucked out because he is a great dentist! His sister, Linda, is the receptionist/office manager and she is beyond nice. She is very friendly and makes the experience comfortable. I would highly recommend coming to Dr. Gregory." "Dr. Gregory is a lifesaver. I had a pain in my gums in the early morning yesterday and by 8:30 at night it had swollen into a full on abscess and needed attention. He answered his emergency line and came right back to the office to take care of me. Without him I would have spent the night in the hospital and still not had the problem taken care of. 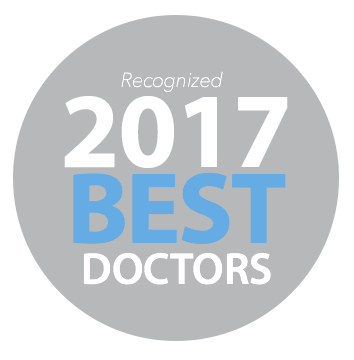 I can't recommend Dr. Gregory enough!" " I've been going to Dr. Gregory for many years and can't imagine having a better dentist. I found him after two prior dentists misdiagnosed my tooth pain and I ended up with a root canal I didn't need - and had to pay for. Dr. Gregory was the one to diagnose correctly that I was suffering from TMJ. He will also never push products or services beyond regular necessary oral maintenance, which I really appreciate. Linda, the office manager, is also great." "As excruciating as going to the dentist is, I always look forward to my visits here. Dr. Gregory has been my dentist for a few years now and he is absolutely amazing at what he does. Linda, his sister, who manages the office is awesome and accomodating. Highly recommended!" "Dr. Gregory is great! I started coming to him a few years ago, after receiving years of substandard care from a different dentist. Dr. Gregory has since corrected the problems that my previous dentist had caused, and my teeth look and feel better than ever! I've never experienced discomfort or pain during my visits to Dr. Gregory, which makes for a pretty relaxed visit to the dentist's office. I've recommended Dr. Gregory to a bunch of friends and colleagues, and will continue to do so." "Dr. Gregory and his staff are extremely nice and considerate. I highly recommend him to anyone looking for a dentist. Before I moved to NY, I went to see my aunt who was a dentist. You get the same feeling from these people -- they actually care about you and your teeth, and not in a money making way." "Quick, nice, and good. I hate finding new dentists and this was easy."